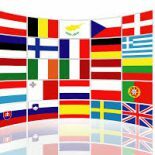 Blogs on public and administrative matters – by countries | European Commonwealth ? We would like to develop this page and so would very much welcome any suggestions about public, constitutional and/or administrative law blogs dedicated to any European states (broadly conceived). If possible one line of explanation about the main objective of the blog would be very welcome. Please contact us here.